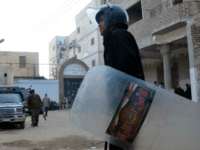 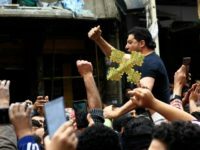 Coptic Christian homes in the southern province of Minya were attacked by Muslims protesting their use as places of worship, the region’s archdiocese said Saturday. 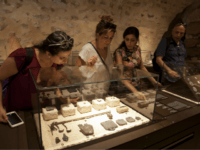 JERUSALEM — Jerusalem’s Franciscan friars have opened a new museum filled with artifacts related to daily life in Jesus’ time. 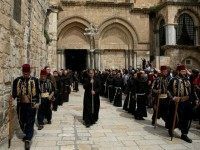 Tens of thousands of Christian pilgrims gathered at Christianity’s holiest site in Jerusalem’s Old City on Saturday for the “Holy Fire” ceremony on the eve of Orthodox Easter. 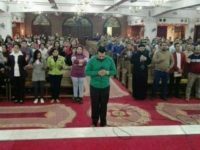 Hymns filled a church in Iraq’s second city Mosul on Sunday as worshippers celebrated Christmas for the first time in four years after the end of jihadist rule. 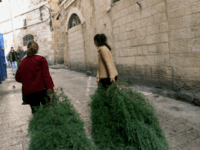 In a warm holiday gesture during Israel’s winter season, the Jerusalem Municipality will continue its annual tradition of distributing free Christmas trees to the city’s Christian residents. 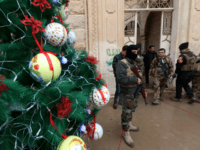 Iran-backed Shia paramilitary forces operating in northern Iraq have been accused by a Kurdish parliamentarian of engaging in “flagrant injustice” toward Christians in the region which until earlier this year was in the grip of ISIS terrorists. 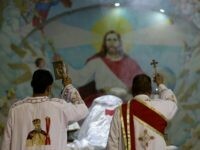 TEL AVIV — A Coptic clergyman was murdered north of Cairo Thursday by an anonymous assailant. 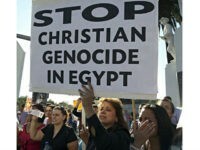 Amid growing concern regarding the Islamic State terror group’s increased targeting of Christians in Egypt, displaced Coptic Christians in the country’s northern Sinai claim the Egyptian government is neglecting their plight. 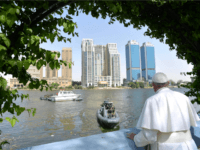 Pope Francis wrapped up a brief but deeply symbolic visit to Egypt on Saturday with an open-air Mass for the country’s tiny Catholic community, defying security concerns to show his support for the Christians of this Muslim majority Arab nation who have increasingly become targeted by Islamic militants. 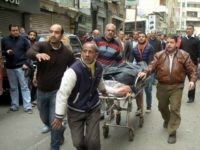 TEL AVIV — Egyptian authorities have found the body of a Coptic Christian teenager who was murdered in the Bnei Swef district in southern Egypt. 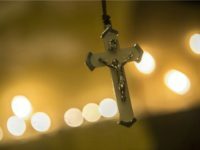 Israeli President Reuven Rivlin said the persecution of Middle East Christians was “a stain on humanity,” during a meeting on Wednesday with leaders of Jerusalem’s Christian community. 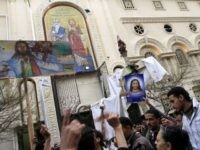 Outside of Cairo’s St. Mark’s Cathedral, the seat of the Coptic Orthodox Pope, a dozen high-ranking police officers are stationed on all entrances, searching cars and scanning the area, as security measures are visibly beefed up outside churches before Easter prayers on Sunday. 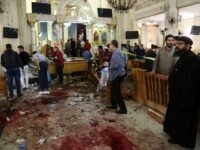 TEL AVIV — Writing in an encrypted message service, Islamic State militants and supporters have celebrated the news of deadly twin suicide bombings at two Coptic churches in Egypt on Palm Sunday. 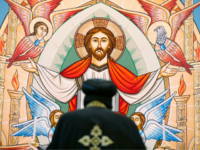 Preparations for Christmas are in full swing at the site of Jesus’s birthplace, with Bethlehem shops, hotels and church officials bracing for more visitors than 2015, when violence put a damper on celebrations. 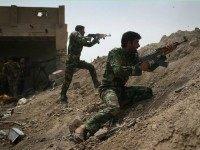 As the coalition battling the Islamic State (IS) group pushes towards Mosul, Christian towns and villages in the surrounding region are being liberated. 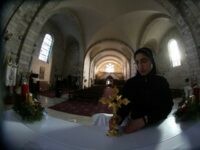 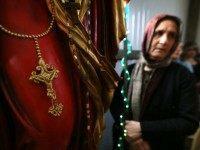 But the future is still unclear for those returning to Qaraqosh, Iraq’s largest Christian town. 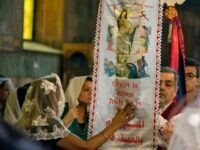 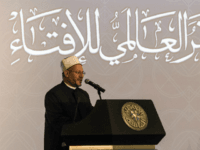 Major churches across Egypt oppose a government bill regarding the building of churches in the country, according to Halim Boulous, a spokesman for the Egyptian Orthodox church.